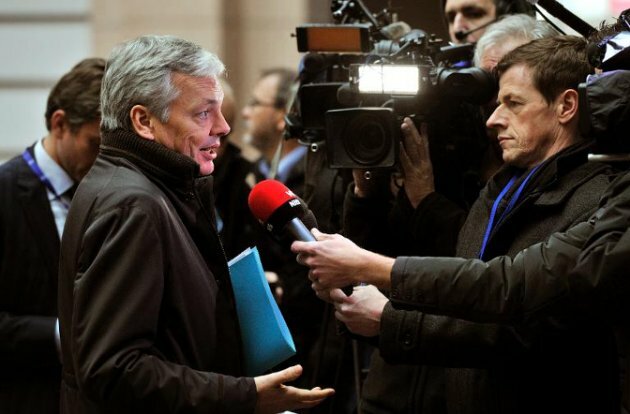 Belgian Foreign Minister Didier Reynders has “strongly condemned” on Tuesday the adoption by Israel of 463 housing construction plans as well as the retroactive approval of 179 other homes in various West Bank settlements. “These decisions seriously undermine any possibility of peace and gradually undermine the viability of a two-state solution,” said the Belgian foreign Minister in a statement. Reynedrs noted that these decisions bring up to 2706 the number of homes authorized under the settlement schemes since January 2016. “Belgium recalls that, as pointed out by the Quartet (United Nations, European Union, United States, Russia) in its report published on 1-July, these decisions seriously challenge any possibility of peace and gradually undermine the viability of a two-state solution,” he said. Israel recently approved the construction of 463 housing units in West Bank settlements in occupied Palestinian territory, despite international condemnation of this policy. According to the Israeli anti-settlement NGO, Peace Now, 50 units received final approval from the competent committee, and 234 were given an initial green light in the Elkana settlement. Written by: meconfident on September 6, 2016. Posted by meconfident on Sep 6 2016. Filed under Headlines, World News. You can follow any responses to this entry through the RSS 2.0. Both comments and pings are currently closed.